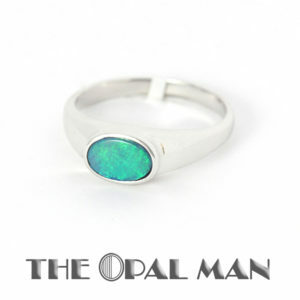 Fantastic multi-color Australian opal doublet ring set in 14k white gold with four diamond accents. 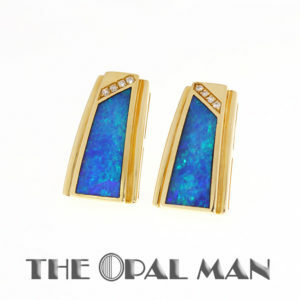 This very simple and modern setting has an exquisite multi-color opal doublet as its focal point. 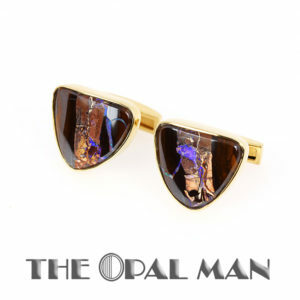 The opal has a dark blue base and is filled with broad rolling flashes of red, orange, green, and more blue. 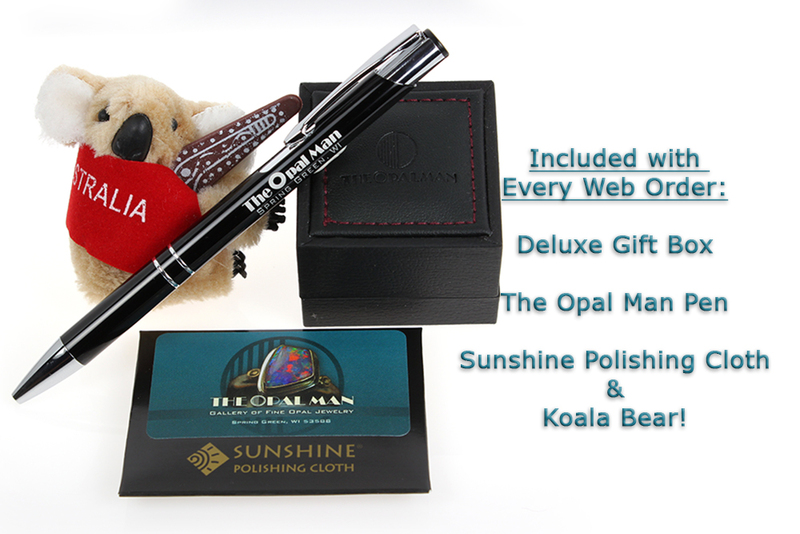 Size: 11.00 Please call if you have any questions about resizing.